A bright, white smile not only gives you the confidence to smile more often, it can lend a more youthful appearance. Depending on the root cause of your discolored or stained teeth and your cosmetic needs, your local AACD dentist can offer a range of treatment options for brightening your smile and boosting your confidence. Although there is a wide range of teeth whitening products available at your local store, professional teeth whitening supervised by an AACD dentist can ensure the safety and integrity of your dental health. There are certain types of tooth stains and discolorations that may not respond to professional bleaching agents. For patients with tooth stains that are the result of a medical condition, genetics, or certain medications, an alternative treatment option may be recommended to meet your aesthetic goals. A professional teeth whitening treatment performed by your local AACD member dentist can provide an instant, economical smile makeover. Teeth whitening can be completed during a single visit and your AACD dentist can ensure that your treatment is safe, effective, and supports your overall oral health. It is recommended that your teeth be clean and healthy for the best possible result. An in-office teeth whitening procedure is customized to the health of your smile and your cosmetic goals. During a consultation, your local AACD member dentist will discuss your needs and evaluate the condition of your teeth to determine that a teeth whitening procedure will be effective. 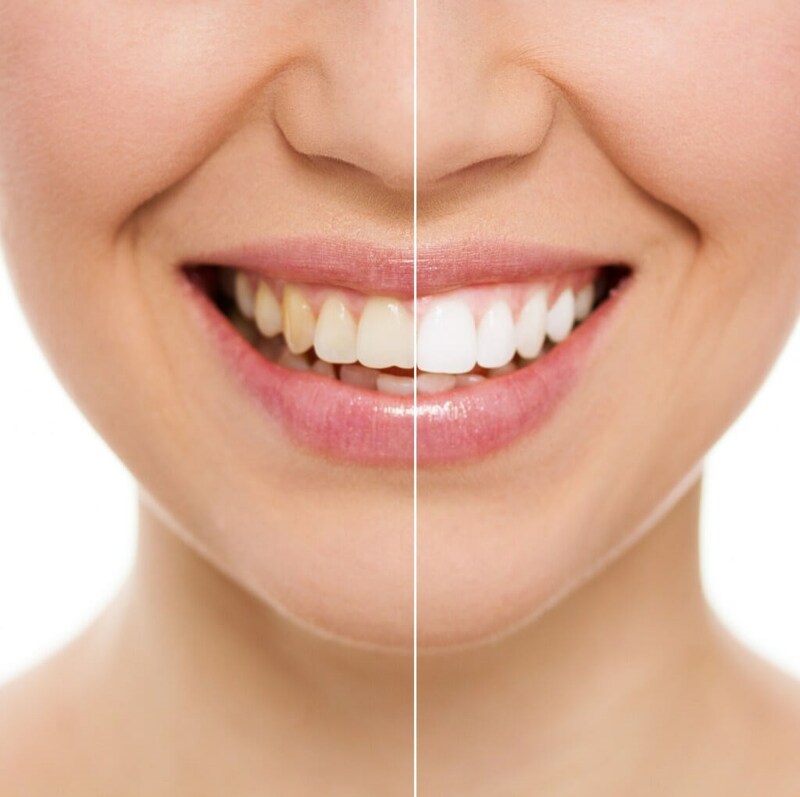 The high-quality products and techniques used for a professional teeth whitening treatment are designed to reduce sensitivity and penetrate the tooth enamel for a lasting result. In many cases, teeth can be brightened 6 – 8 shades whiter, taking years off of your smile and boosting your confidence in your appearance. Your local AACD dentist may offer professional take home teeth whitening kits. This treatment option is customized to your smile with bleaching trays that are made from your dental impressions. A quick visit is required to take impressions for ordering a set of customized bleaching trays to be used in the comfort of your home. Your custom trays will reduce irritation of the gums and provide a consistent application of bleaching agent. Patients will typically be instructed to wear the bleaching trays for a specified period of time daily for up to two weeks. Your brighter, whiter smile will emerge as you complete treatment and touch ups can keep it looking great for as long as possible. A take-home teeth whitening can also complement an in-office treatment for maximum results. Tooth bonding: a composite material that is color matched to your natural smile can be placed on your stained or discolored tooth, or over multiple teeth. Porcelain veneers: dental veneers can provide a long-term smile makeover. Dental crowns: when one tooth is discolored, a porcelain dental crown can be placed for a more aesthetically pleasing smile.